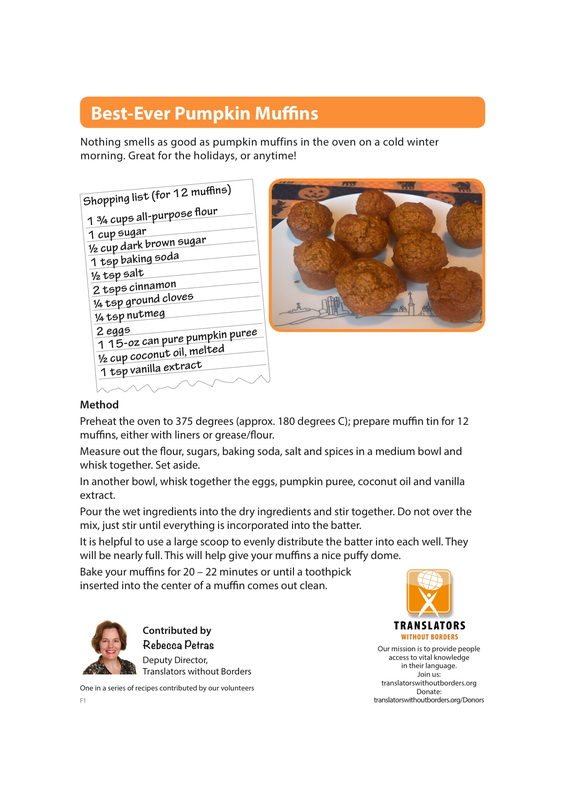 Nothing smells as good as pumpkin muffins in the oven on a cold winter morning. Great for the holidays, or anytime! Preheat the oven to 375 degrees (approx. 180 degrees C); prepare muffin tin for 12 muffins, either with liners or grease/flour. Measure out the flour, sugars, baking soda, salt and spices in a medium bowl and whisk together. Set aside. In another bowl, whisk together the eggs, pumpkin puree, coconut oil and vanilla extract. Pour the wet ingredients into the dry ingredients and stir together. Do not over the mix, just stir until everything is incorporated into the batter. It is helpful to use a large scoop to evenly distribute the batter into each well. They will be nearly full. This will help give your muffins a nice puffy dome. Bake your muffins for 20 – 22 minutes or until a toothpick inserted into the center of a muffin comes out clean.